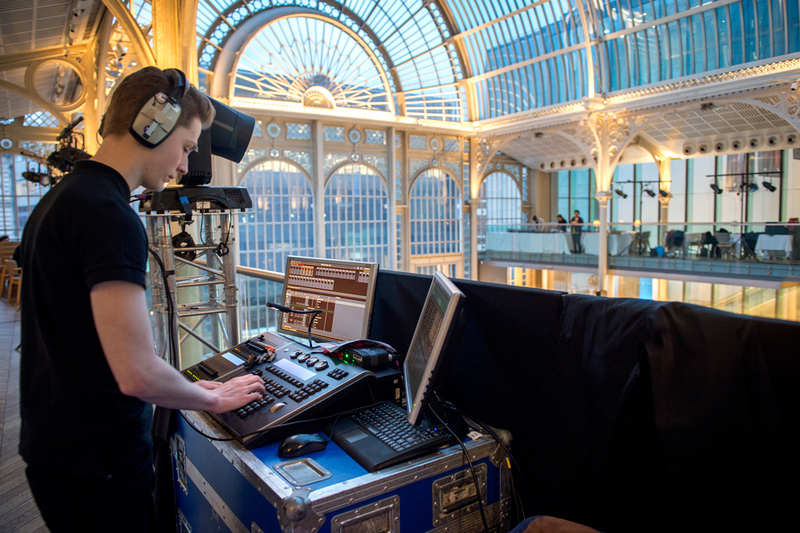 White Light recently provided the complete technical solutions for Borne to Dance – a fundraiser for the Borne Foundation which took place at the Royal Opera House. Borne is a medical research charity which aims to identify the causes of premature birth and develop new ways to prevent it. Borne to Dance, a signature fundraising event in Borne’s diary, took place on 19th March and was hosted by Borne Patron, Dame Darcey Bussell, and Borne Ambassador, Michael Nunn OBE. Borne Senior Event Producer, Michelle Menne, comments: “Borne to Dance is a magical evening of dance with performances by some of the country’s most exciting dance companies. Having drawn on WL’s services for previous events, as well as being aware of their background in theatre, we approached them to work with us on this occasion”. Performances on the evening included ‘Requiem’ by the Royal Ballet, ‘Le Corsaire’ by English National Ballet, ‘Us’ by BalletBoyz, ‘Swan Lake’ by Sir Matthew Bourne’s New Adventures and a lively finale by Aljaž Škorjanec and Ash-Leigh Hunter. The event was overseen by WL’s Project Manager Phil Gladman, who comments: “We have worked with Borne previously and know the kind of special experiences they want to deliver. For Borne to Dance, we worked in the magnificent Paul Hamlyn Hall space where we supplied audio, video, lighting and projection; meaning Borne could rely solely on us to provide the entire technical solutions”. For the lighting, WL worked closely with Lighting Designer Andrew Ellis who was tasked with lighting the various performances. As each had a different feel and requirements, WL had to supply equipment that would work with all of these. For the audio, WL supplied a bespoke sound system that would offer complete clarity for the speeches as well as a soundscape for the live performances. WL also built a set, which included a 10x10m stage. Built within the set was a rear projection screen onto which footage was relayed across the evening, showcasing Borne’s important work. WL also supplied the projector for the streaming. The evening was a huge success for Borne, raising much-needed funds to launch PREVENT; a pioneering screening programme to identify women at risk of preterm birth. Michelle concludes: “This year’s Borne to Dance was a truly unforgettable occasion. It is vital that our guests have a brilliant evening which, in turn, helps us raise invaluable funds. The production support that WL supplied helped us to achieve that this year and we are extremely grateful to Phil and all the team’s hard work”. Photos courtesy of Annabel Moeller.